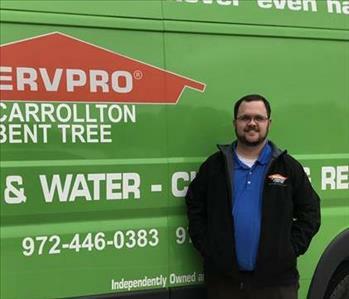 Jarrin is the Sales & Marketing Manager for SERVPRO of Bent Tree. Jarrin comes from a ministerial and property management background. He enjoys building relationships and is grateful for the opportunity to serve families and businesses throughout the Bent Tree area. Jarrin has the following certifications from the Institute of Inspection Cleaning and Restoration Certification (IICRC): Water Removal Technician. Jarrin loves to spend time with his wife Rebecca and sassy toddler Ellisyn. He is also an avid Texas Rangers fan which is highlighted by his rather large bobble-head and autograph collection. 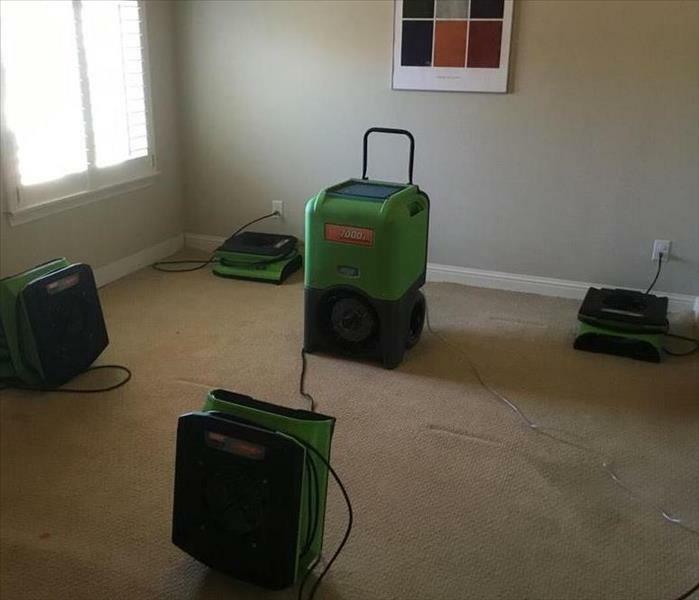 Jeff is the Operations Manager for SERVPRO of Carrollton and SERVPRO of Bent Tree. He has over 26 years of Cleaning and Restoration experience. He is certified as a Water Restoration Technician, Fire and Smoke Restoration Technician, Crime Scene, and others. Jeff has experience in communicating with adjusters, agents, and property managers. 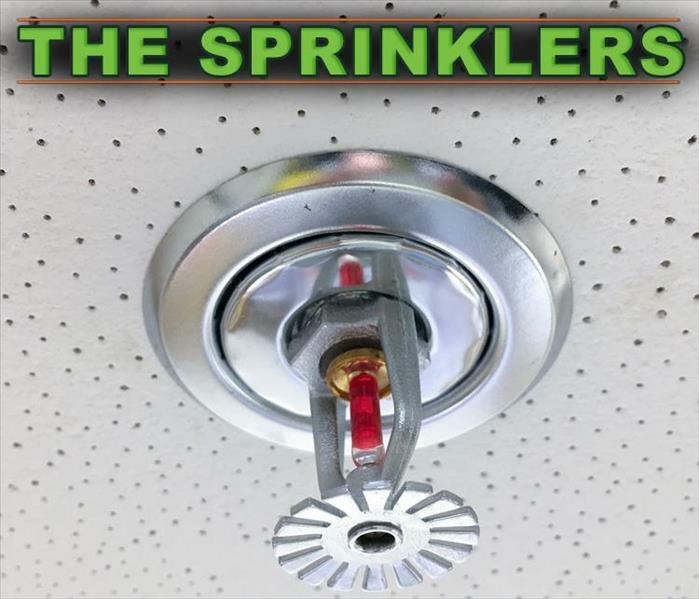 He provides great customer service which comes from his years of training and experience. Learn more about him by connecting with him on LinkedIn. 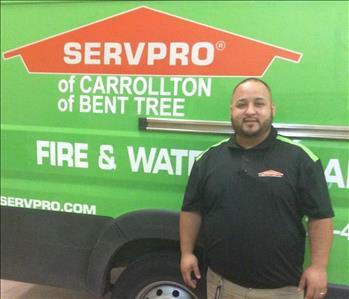 Adam is one of our Crew Chiefs at SERVPRO of Bent Tree. Adam comes with several years experience in construction, demolition, & restoration. 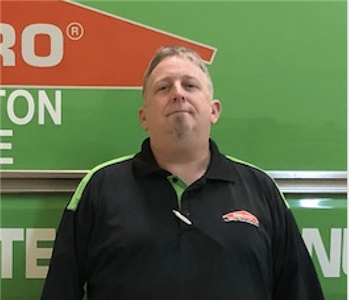 Adam has served as a Crew Chief with another one of our SERVPRO offices. Adam enjoys spending time and making memories with his wife, son & daughter. Adam is passionate about serving others & helping meet the needs of our customers. 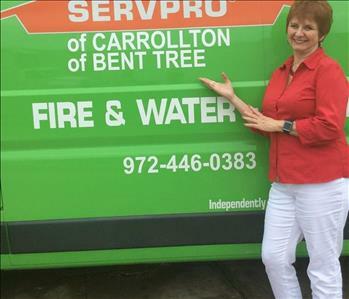 Diane is the Sales & Marketing Representative for SERVPRO of Bent Tree. A Dallas native, Diane has a varied background having been a business owner, sales person, sales manager and in customer service. Diane brings a great deal of experience and diversity to our company. Proud mother of 3 children and proud grandmother of 3 grandchildren. Diane enjoys gardening, reading, going to the gym, and spending time with her family and friends.